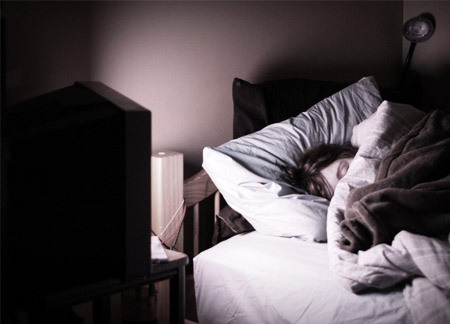 New research suggests that late night exposure to artificial light, often created by a TV or computer screen may lead to symptoms of depression. This study was conducted at the Ohio State University Medical Center in which hamsters were exposed to chronic amounts of artificial light. The hamsters showed signs of reduced physical activitiy, less interest in sugar water, greater signs of distress when placed in water, and changes in the brain’s hippocampus that are similar to brain changes seen in depressed people. Over the last 50 years the reported numbers of depression have grown tremendously, matching up with the surge in people staying up late to watch television or stay on their computers. This study suggests that the two may have a great deal in common. Categories: Body, Wellness | Tags: computer, sleep, television | Permalink.